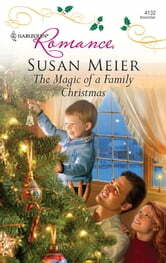 With her little foster son Harry to care for, Christmas suddenly sparkles again for secretary Wendy Winston. The only fly in the ointment is Cullen Barrington. He's her boss, yet insists on playing the part of Scrooge! When they are all stranded together in an ice storm, Wendy sets about showing them just how magical a family Christmas can be….